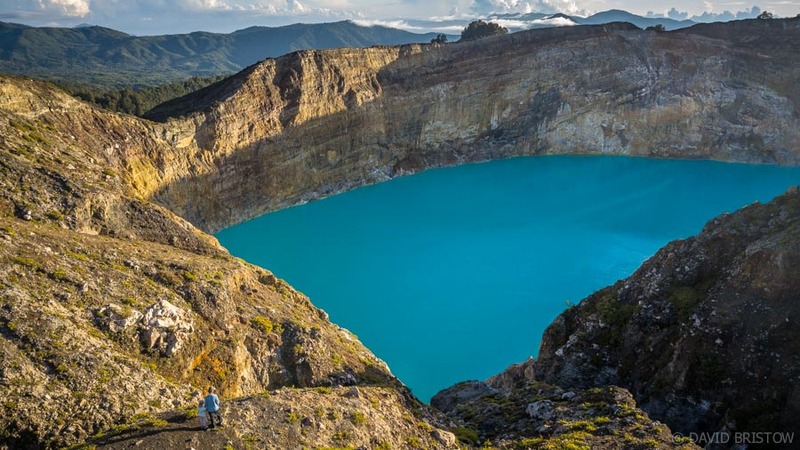 It’s said that when children die in the mountain village of Moni, their spirits soar high towards Mount Kelimutu, settling in the warmest and bluest of the volcano’s tricoloured crater lakes. 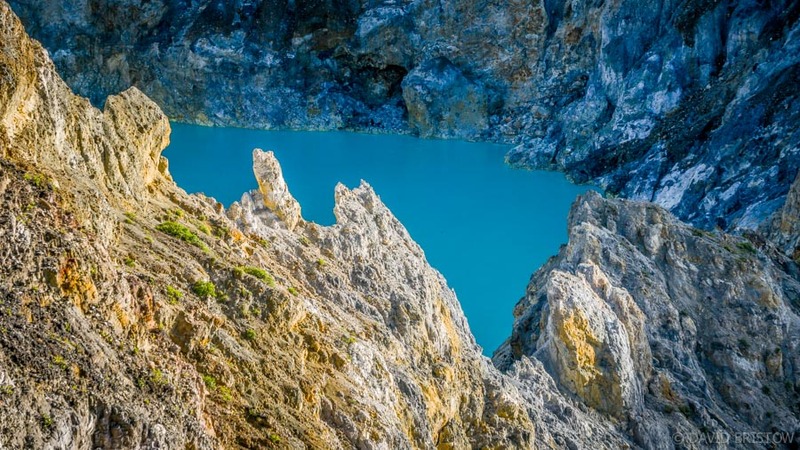 Known as Tiwu Nuwa Muri Koo Fai, this sacred turquoise lake is the most bewitching of Kelimutu’s three, richly coloured pools that stud a scene so spectacular and so surreal that travellers brave wildly, winding mountain roads far inland on the Indonesian island of Flores, and climb the volcano by torchlight just to watch the day begin high above Moni. 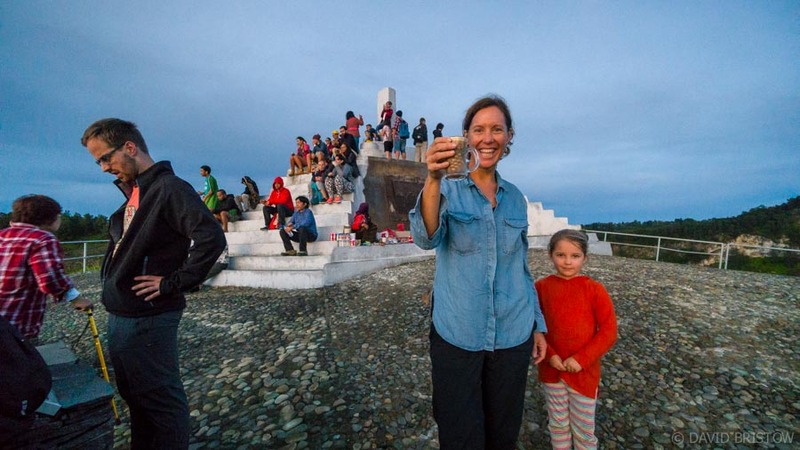 The adventure starts around 4am, and an hour later we have hiked to the end of a skinny ridgeline to join a small gathering of pilgrims waiting for the sun. A natural viewpoint elevates us head-and-shoulders above a sea of jagged volcanic peaks, and we peer down into three deep, sheer-drop craters that cradle water with such intense hue that it appears as thick as paint. Rugged up against the high-altitude chill, cameras posed towards the east, we shift restlessly at 1640 metres, waiting for the spectacle to unfold. An old woman sells us sweet, milky coffee for a dollar apiece, filling glasses from a thermos she has carried up the mountain too. Finally the sun reaches us, sending fingers of light to the water’s surface and painting it with ever intensifying, dazzling hues. Turquoise Lake is the most captivating by far, but close by, Tiwu Ata Polo (the Brown Lake where good-hearted elderly souls come to rest) provides a remarkable contrast. On the other side of our slender, rocky viewpoint sits Tiwi Ata Mbupu: black, cold and desolate, the resting place for the most wicked of Moni’s deceased souls. Even before I know about its sinister inhabitants, Black Lake doesn’t hold my gaze quite like the other two that dazzle and shimmer as the wind breezes across the mountaintop. 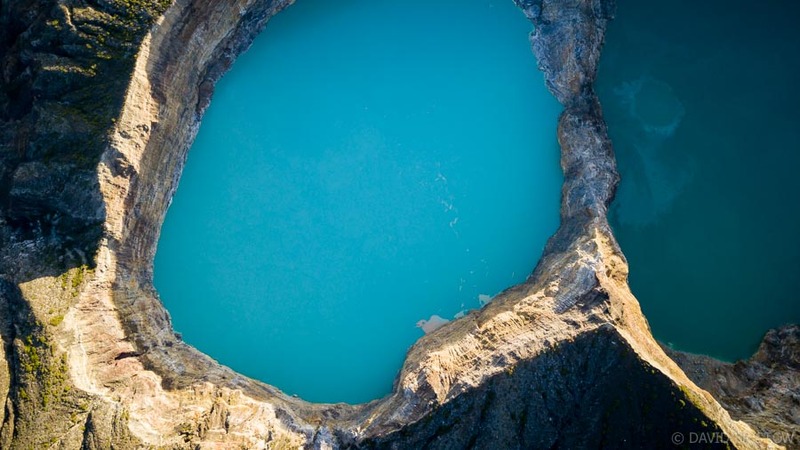 The colours of the two bluest (and purest) lakes change with the seasons, intensifying as wet season rains fall, dissolving minerals that flow into these lofty lakes. We climb around for different views, gravitating closer to the crater’s sheer-drop edge until the sun climbs too high, stealing back its light. 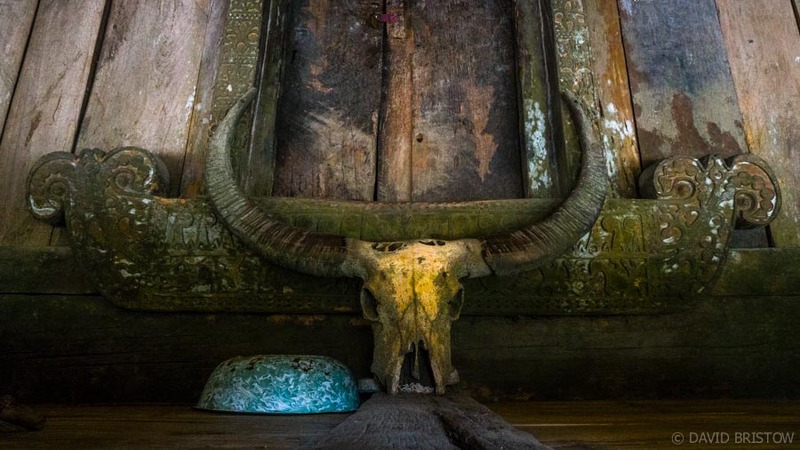 Only when the spectacle is well and truly over do we retreat to Moni, loping downhill past rice paddies and waterfalls, surprising farm animals and discovering on the edge of town, an ancient Customs House that rivals some of the island’s best. 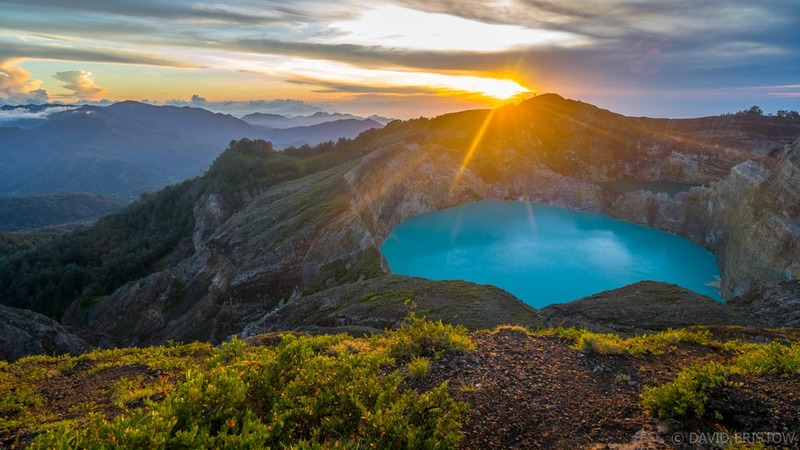 Catching sunrise atop Kelimutu is one of the best ways you can begin a day on Flores, regardless of how out-of-the-way Moni may be. It’s probably best accessed as part of a lengthy across-Flores road trip, but you can fly into Maumere (as we did), and travel by bus or car for three hours to Moni, continuing west by road to fly out of Ende a day later. 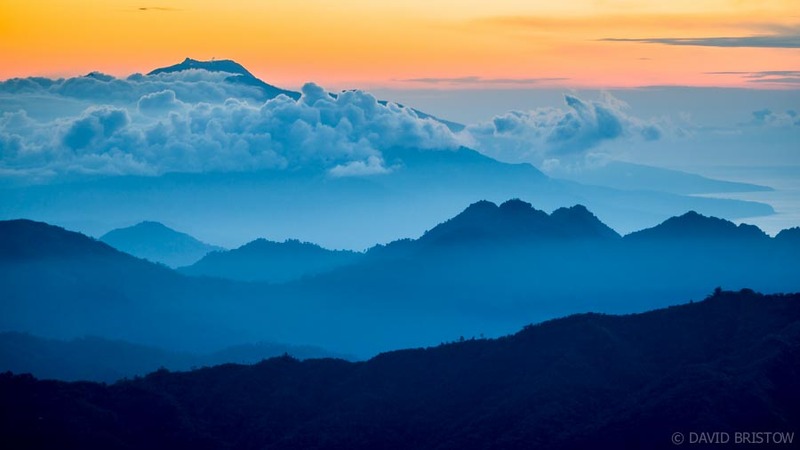 Moni is located at the far eastern end of Flores, a 2.5-3 hour drive from the town of Maumere, which is connected to Denpasar (Bali) by daily flights. A single road climbs through Moni, dotted with small guesthouses that provide basic air-conditioned rooms with views. On our off-season visit our double room cost Rp 200,000 (AUD$20), breakfast included, and we paid a local driver AUD$10 per person for a 4am ride to the carpark at Kelimutu National Park. Pay your entry fees ($10 per person plus $1 for the car) en route. There are toilets and basic food and drink stalls at the carpark. From here it’s an easy 30-minute walk uphill through pine forest to the highest crater lookout. Bring a torch and some rupees to buy a coffee at the top as you sit and watch the sun come up. Makes one wonder where will I end up at the end of life, what colour water will I enter. What a wonderful early morning experience. There’s still time to make good Leonie, that black pool for wicked souls looked rather chilly!